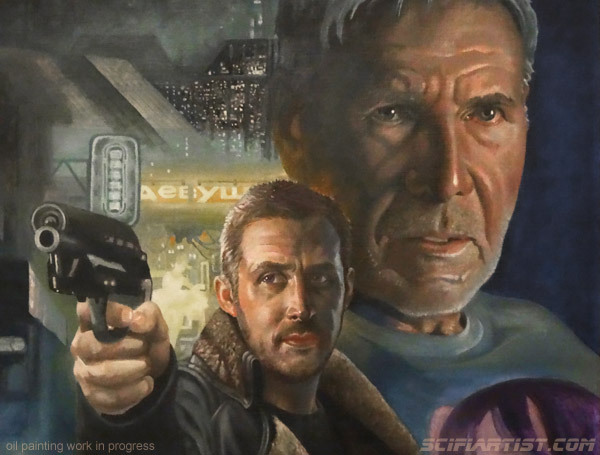 Update 2018 – This was finished last year and has now been posted on the home page. Here’s the finished painting below. 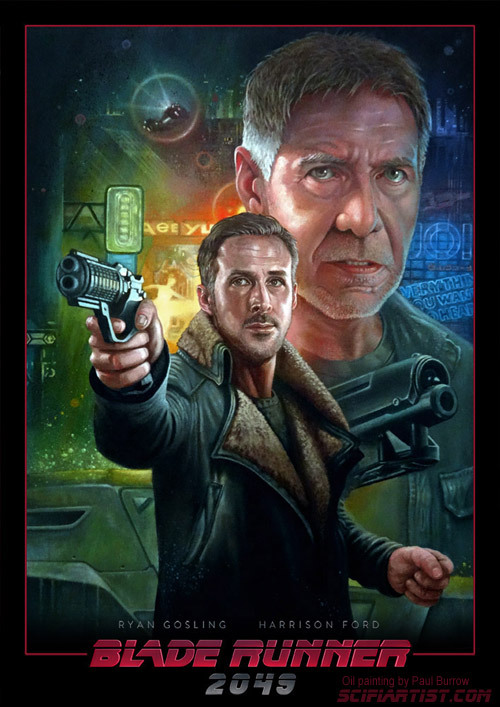 After seeing the latest trailer for Blade Runner 2049 I decided to do a new oil painting of some of the characters. Here’s a section of the painting that I’m working on. 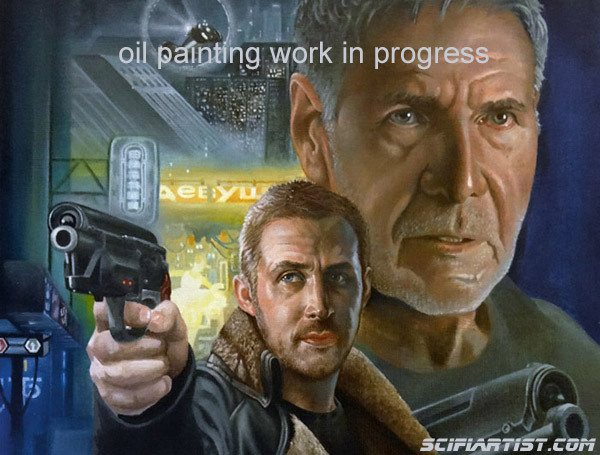 I’ll post the full painting once it’s finished. A few more facial refinements. Not far to go now. 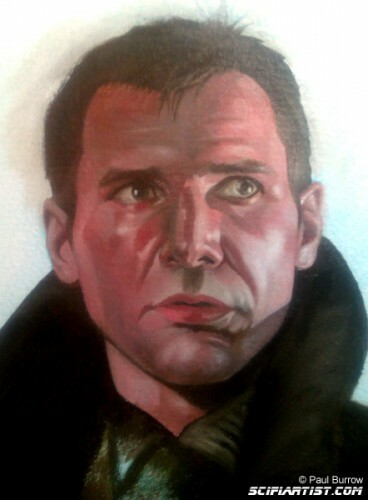 The face has been worked on and it’s looking back like Mr Ford after going a bit off track. 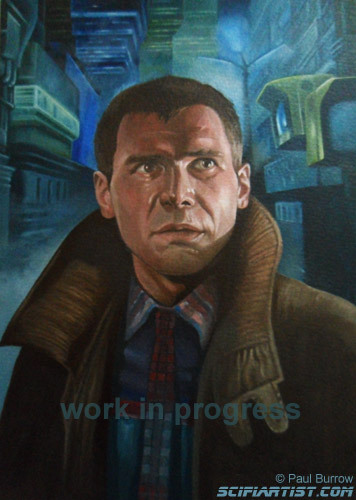 Here’s an update on the Deckard oil painting I’ve come back to after a long break. It had started to go a bit wrong so I left it for a while. I decided to pick it up again this evening to fix some of the damage done. I think I’ve recovered it so far. I hope to finish it this week. This is a photo instead of a scan as the paint is still wet from tonights work. Still not happy with it though. More work to do tomorrow! 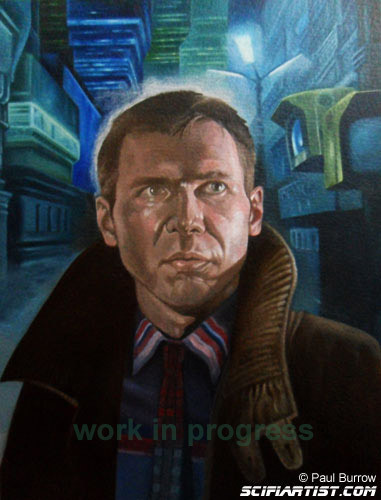 I’m back working on my Blade Runner Rick Deckard painting. Background is getting filled in now. 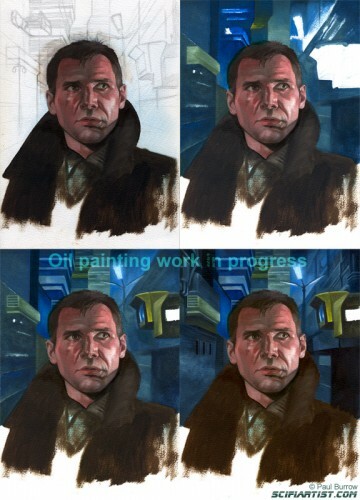 I’m painting in a dark rainy cityscape from the film. 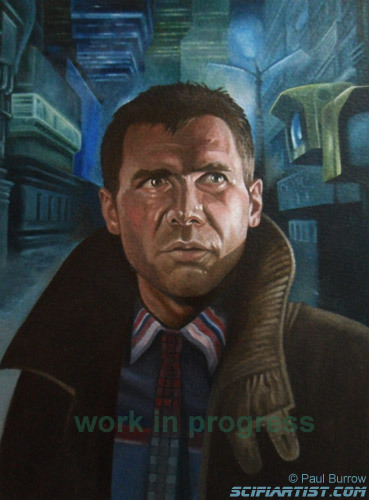 Continuing on from the Rick Deckard sketch, here is the painting so far based on that sketch. This is an oil painting A4 size. 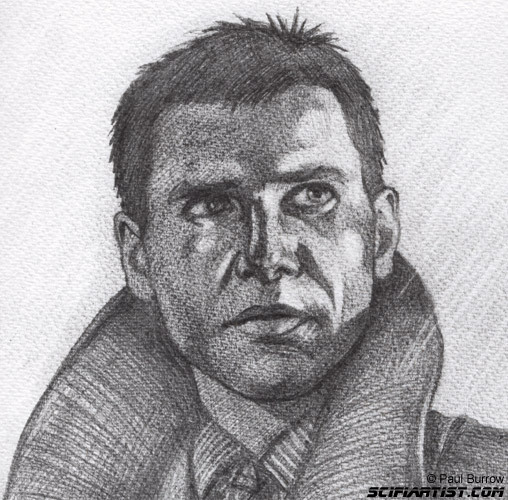 This is now starting to look like a 1982 Harrison Ford from the film Blade Runner. I had been struggling and nearly ripped it up earlier in the process as it was strangely looking like Mel Gibson but I’m glad I didn’t give up on it as a few more hours of work has started to produce a better likeness.